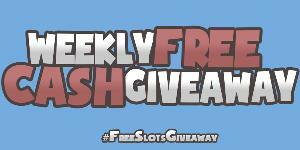 Prize: £25 Free Weekly Cash Giveaway promotion. Free to enter, no registration required. What you must do to enter: Here is what you have to do: pin, re-tweet or add a comment for your chance to win the weekly prize. Straight forward and easy. As much daily entries as you can! Statistics: This contest was opened by 95 and entered by 0 ContestChest.com members. 0% of those who opened the contest, entered it.